Authentic Spanish flavours for tapas and main meals. Our products are made using the finest ingredients. They are free from additives, colourants and preservatives. We make and sell Sofrito, Salsa Brava, Alioli, Tapenade and Paella in a Bottle, which has recently been featured in BBC2’s ‘Top of the Shop’ competition. My black olive tapenade is great served on crusty bread, crackers, pizza, stir through pasta or as a dip with crudities. A great addition to all your favourites. Ingredients: black olives (85%), extra virgin olive oil, capers, garlic and thyme. My green olive tapenade is great served on crusty bread, crackers, pizza, stir through pasta or as a dip with crudities. A great addition to all your favourites. Ingredients: green olives (88%), extra virgin olive oil, capers, garlic and thyme. “I originally started off as a research scientist in my home country of Spain. 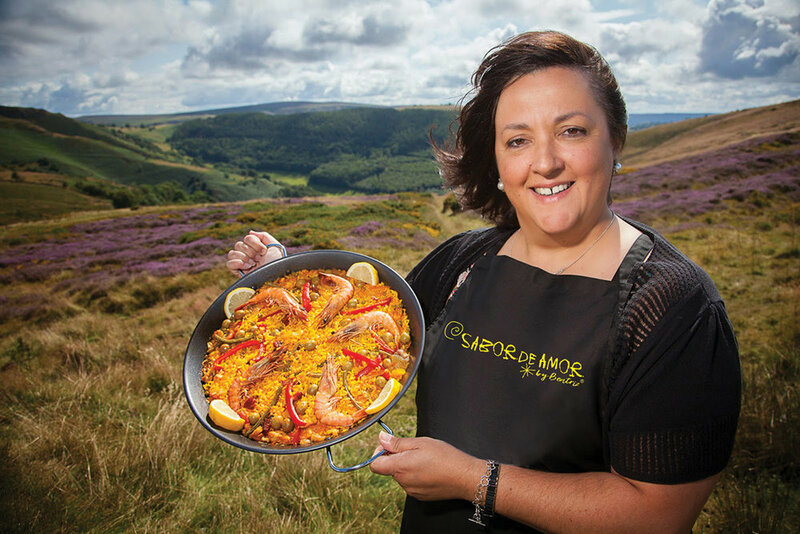 However, my mother and grandmother’s passion for cooking inspired me to follow my love of food and set me out on a journey to create a range of authentic Spanish products for everyone to share. Our restaurant in the beautiful city of Salamanca was famous and these recipes handed down by my family and perfected by me, use the finest, carefully balanced ingredients. The products are now lovingly created in Wales and my paella sauce won the sauce award on the BBC’s ‘Top of the Shop’ competition.